Should there be any limits to the rights of bicyclists? If David and Goliath really existed, and if their match had taken place in the Roman Coliseum, for whom would the fans be rooting? It’s hard to tell; we don’t even know what the breakdown was between fans for the lions and the Christians. However, we can say that if the Coliseum had been filled with progressives, virtually every fan would have been rooting for David. If the edifice had been filled with BP executives, Goliath might have been the fans’ choice. To the extent that we have moved towards a multi-modal transportation world, bicyclists are progressives’ choice in conflicts over rights-of-way. Most of us can’t stand the sights, sounds, and smells of eighteen-wheelers as they seemingly squeeze us off the roads. Never mind that the behemoth truck that you curse may be bringing you naturally grown vegetables and fruits, or more likely your latest electronic gadget. 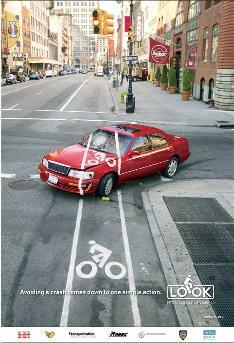 Urban planners are now going the extra mile to extend full rights to bicyclists. In the 1960s, when the “new town” movement was becoming a reality, the Washington, DC exurbs of Reston, Virginia and Columbia, Maryland featured miles of separate rights of way for bicyclists and pedestrians. They included friendly curb-cuts before the ADA was passed, and it was easy for many to ride from home to work or school without having to look over one’s shoulder for an approaching car or truck. Minneapolis was probably the first established community to recognize that bicycle rights required structural changes to ensure bicycle safety. Some parks near downtown Minneapolis have had rights-of-way that curve through the terrain with separate (and occasionally separated) lanes for cars, bicycles, walkers, and skate-boarders. collisions; generally it is either an errant driver or a vehicle that is simply too large to safely be on any street. Thus, when mishaps occur, anger is normally directed at a motorist. To illustrate how perilous bike riding can be, a Canadian cyclist cleverly attached a mini-video camera to his helmet and recorded his normal journeys. Sure enough, in one incident after another, he is put in harm’s way, as motorists either don’t notice him, see him but don’t care about his presence, or perhaps intentionally try to scare or hit him. Because the fine young gentleman survives all and eloquently describes his travails, we present his video from CBC by way of CNN. It’s virtually impossible to watch the video and not have empathy for the biker and disdain for the drivers. However, there is a third factor present in all of the accidents and near-accidents. The cyclist, Luke Rae, is operating under what may or may not be a fair assumption; that he has as much right to the roads he travels as any motorist. It’s a nice thought, but considering road design, perhaps somewhat of a fantasy. We cannot argue with his contention that he has a right to ride his bike on the roads, but we can question his premise that it should be safe for him to ride on these roads. It simply isn’t, even when drivers are cautious and well-intentioned. He is fighting a losing battle trying to equally share the asphalt ribbons with his four- to eighteen-wheel colleagues. When it comes to protecting bicyclists, government has shown the ability to be responsible and respectful of the rights of the less powerful. It’s happening more every day as separate and safe bike paths are paved to give cyclists their own right of way. However, with the 95% or more of our roads which were not constructed with cyclist safety in mind, poor planning is often an “unindicted co-conspirator” with the motorist who wreaks havoc on the cyclist. 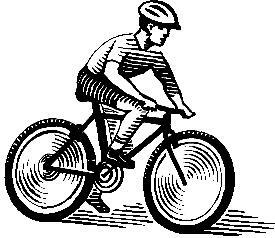 Most of us have had our automobile-bicycle near misses. Sometimes we’re the cyclist, and sometimes we’re the motorist. As the video clearly illustrates, these incidents are harrowing experiences for cyclists. But often, it is the motorist who is scared out of his or her wits because he or she almost struck an innocent cyclist. The accidents and near-accidents will continue, perhaps with the frequency as shown in the video, if we maintain the status quo. Let’s applaud those in and out of government who take steps to ensure safe cycling. At the same time, let’s be careful about which motorists we demonize. Like so many things in life, it’s not an easy call. Next Post:Why does Haiti have it so bad?